After all of the cold weather and snow, when it finally hit 40° we thought for sure we were having a heat wave. 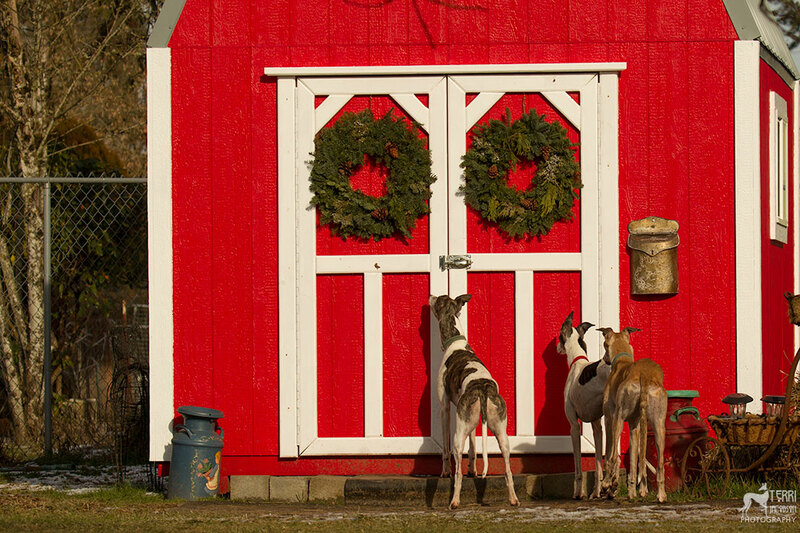 Karen was in the barn re-loading the bird feeders and declined the help of these guys. They knew where she was and they were not happy she closed the doors. This entry was posted in Cinderella, Fergie, greyhound, Mickey.